A new arrival in luxury knitwear is Eleven Six. vast desert plains of Bolivia. We interview Carnevale about her process in creating a line that is artful, alluring and undoubtedly charming. AGB: Please tells us about your studies, and what led you to focus on knitwear? CC: My Mother and Grandmother being huge knitters was a big influence on me growing up and led me to knitting and sewing anything I could get my hands on from a young age! My natural love of the craft led me to want to make this a profession. I loved that you could create unique fabrics and use knitting techniques to form a garment. I studied at Central Saint Martins in London for an Art & Design Foundation course and then went on to do a specialist Knitwear BA honors degree at the University of Brighton. The degree had a year in industry, which led me to an internship in New York where I developed a flavor for the opportunities that New York could offer my future career. A few months after graduating in 2002 I returned to New York in where for the past 15 years I have developed my career in Knitwear. My latest position was Senior Design Director of Women’s Knitwear at Club Monaco. Prior to that I was a Senior Knitwear Designer at Calvin Klein. 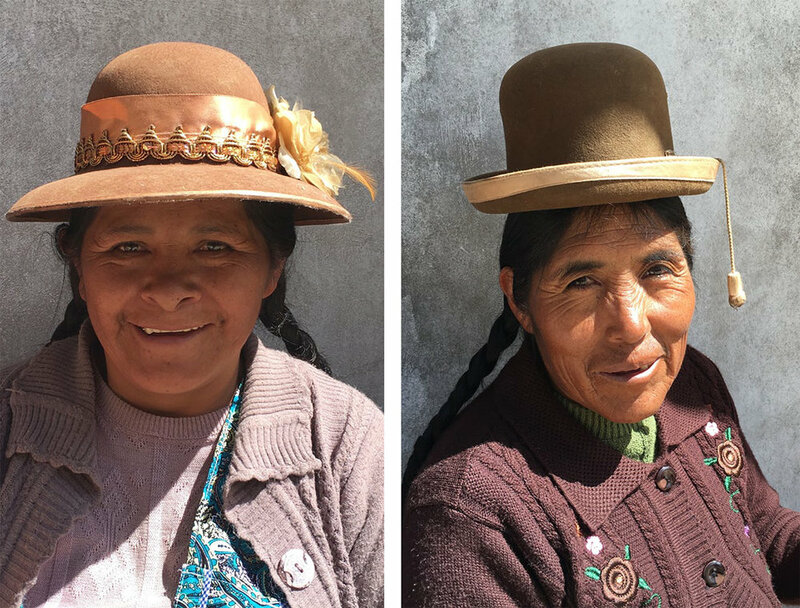 AGB: Can you tell us about your connection with the Peruvian and Bolivian knitters, and how that effects both your business and theirs? CC: ELEVEN SIX works with two small second generation family run factories that both in turn work with artisan groups for their handwork. 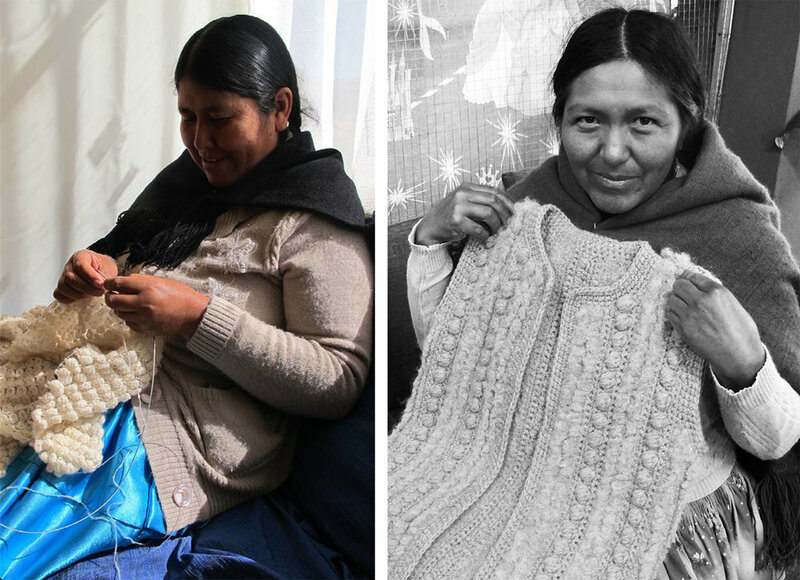 In Bolivia we work exclusively with a women’s artisan cooperative on hand knitting. The connection with the knitters came about by my taking a trip to Peru and being inspired by the incredible work that the women artisan groups produced with their local materials. On deciding I wanted to create a luxury knitwear line with these women artisan groups I began to research possible resources which is when I came across my first small family run factory who also had a lot of back ground working with, and educating artisan groups around Peru. 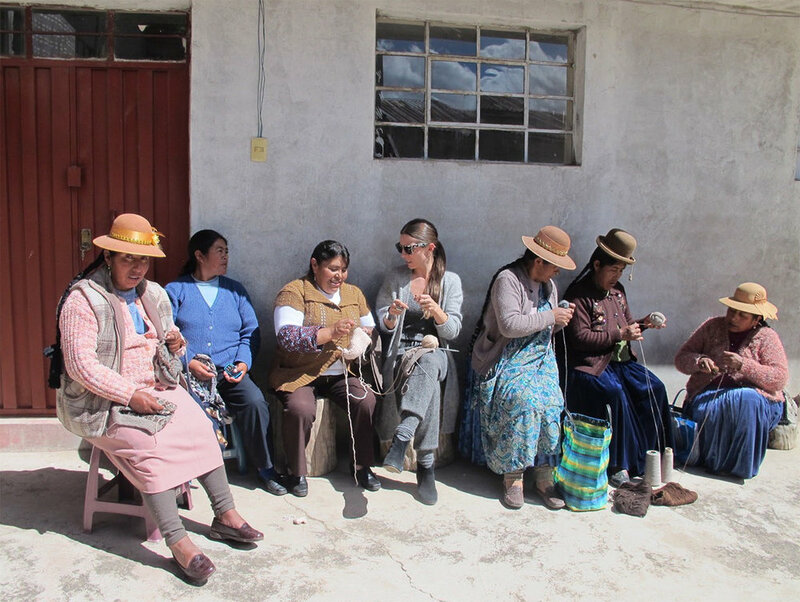 The Bolivian cooperative I discovered after looking for further hand knitting resources, ELEVEN SIX as a brand is proud to support and empower these artisan women. The women are able to work partially at the cooperative where they gain a sense of community and then for the most part they can work at home in order to earn money for their households, and still maintain balance within their family lives. I took a trip to both Peru and Bolivia earlier this year to visit some of the artisan groups. It was incredible to personally connect with some of the women that work on our product and engage them with what ELEVEN SIX is about. It was truly motivating for these women to learn more about our brand and found that they are proud that much of our story promotes their workmanship. On a personal level, after working with larger corporations throughout my career it is most fulfilling to know whom I am giving the work to and the direct benefits it is providing. In turn we share some of this handcrafted love with our customers, by having the artisans sign the hangtags and give an edition number on the hand knit items. AGB: What was your inspiration for the latest collection? CC: S/S 17 was the last collection we went to market with. Earlier this year I travelled to Bolivia to the Salar de Uyuni Salt flats. I was intrigued to visit this magical place after discovering works of a local Uyuni installation artist; Gaston Ugalde (apparently once quoted the Andy Warhol of the Andes by the New York Times) and a Dutch photographer; Scarlett Hooft Graaftland’s work. Both artists have a similar signature in placing colorful objects or staging models in this spectacular and powerful white environment. The collections palette was inspired by the tones of white salt (salar), the casts of Uyuni’s bright indigo skies and then pops of colored accents were taken from the artists installation play. I wanted to translate the powerful contrast and experience, in the salt desert environment, within the collections playful graphic stitches, textures and patterns. When planning the look book shoot I wanted to shoot in a place of extreme natural beauty, as was Salar de Uyuni. So we found an incredible sheet rock landscape in our local upstate NY, at the Mohonk national preserve. There are also themes of inspirations that run throughout each collection such as the notion of head to toe, often tonal, sweater dressing. I am always inspired to look back at Sonia Rykiel collections from the 70’s, as she was the inspirational queen of knitwear! Other sweater techniques, stitches and patterns are repurposed which can be seen as signature details throughout our collections. AGB: And finally, what does the name Eleven Six signify? CC: The name ELEVEN SIX was born from a combination of my birth date in the European style, Eleven June, and our son Oliver’s due date in customary US form. I love numbers in general!